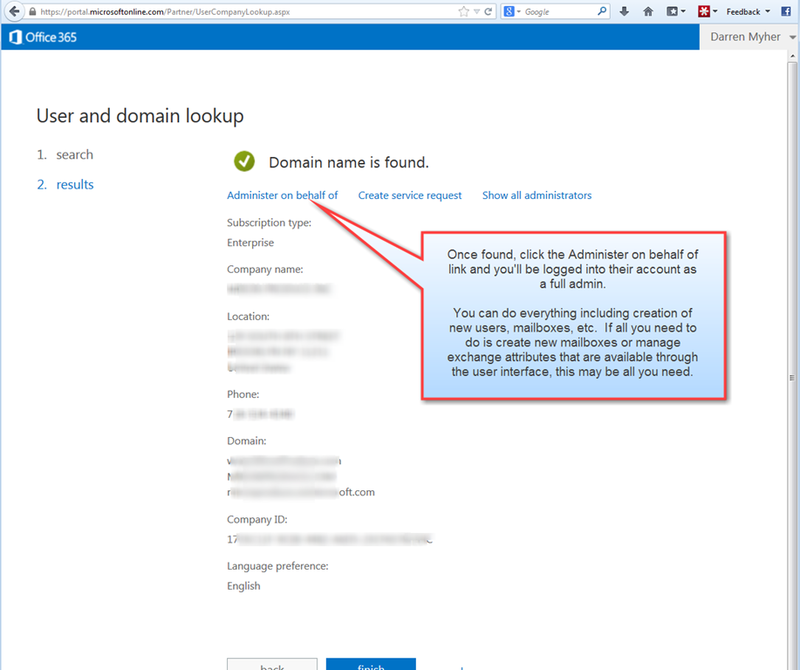 I’ve had a few questions recently about how to manage a customer’s account on Office 365 without having to create a user account in their domain for that purpose. To do this you must first be a Microsoft Online Services Cloud Partner. 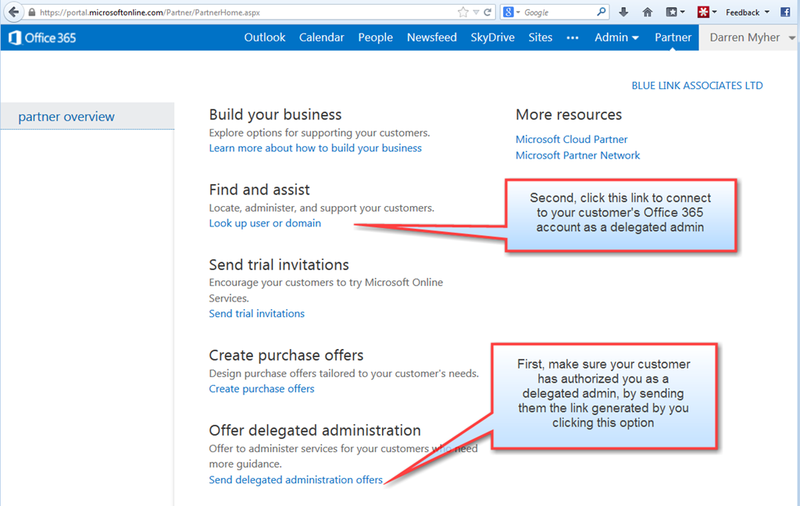 Set that up through you Microsoft partner account. (Instructions for doing that are long and complicated and are beyond the scope of this posting). If you are not already a delegated admin for your customer, click the link at the bottom of the screen to generate an offer of delegated administration. This will create a URL that your customer will click that embeds your Microsoft Partner ID, and will allow them to authorize you to act as a delegated admin on their behalf. 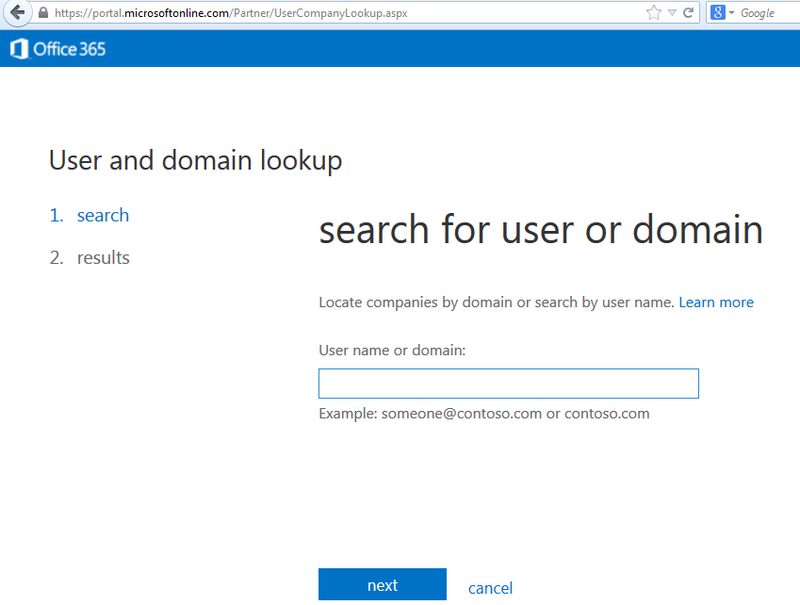 Enter your customer’s domain name and click next. Click the Administer on behalf of link, and you’ll be logged into their version of the portal as if you were an administrator of their domain. You can then run any command you can normally through the UI including creation of mailboxes, etc. Create an account for yourself. What you call it doesn’t matter. 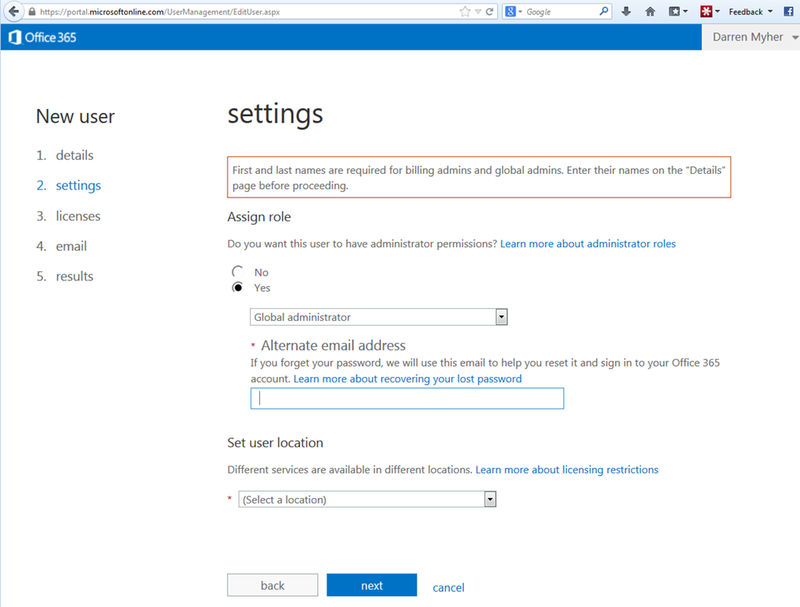 Configure the account as a global administrator. Thanks a lot for the explanation. This is geting things straight and with that exchange powershell on behalf of the customer can be done without the customer needing a licensed admin account. You first write that “you can’t run exchange powershell commands”, and then “you have to create an administrator to run exchange related powershell commands”, i don’t quite get this? 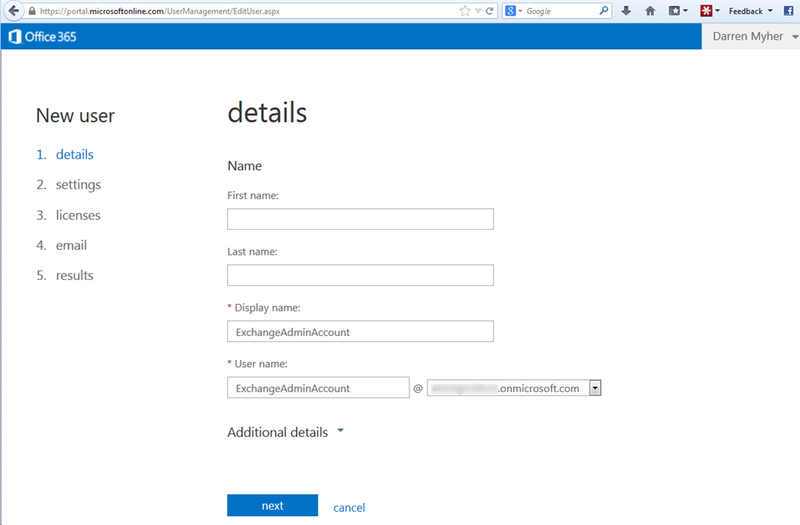 Does it only require an administrator account inside the customer and the you can run exchange commands with powershell? and in that case how then? You can create the global admin account by using the web user interface. When you have delegated admin rights you can do this.